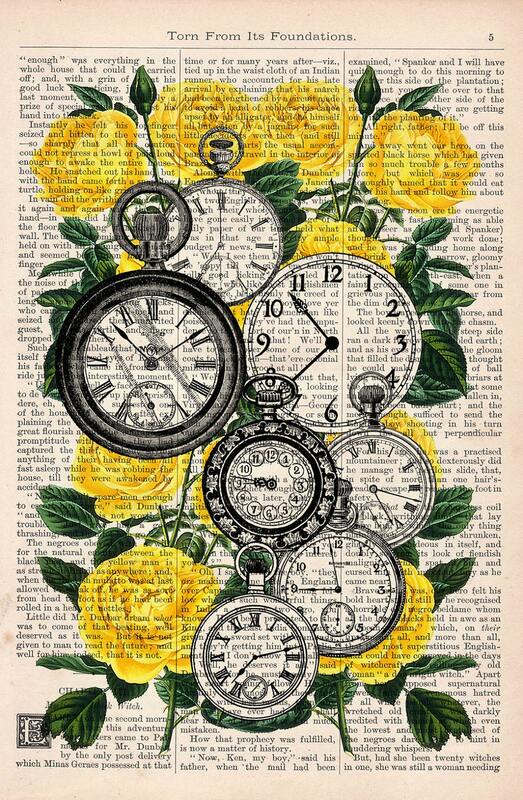 Victorian Clocks over Yellow Roses art collage printed on real vintage dictionary book page. 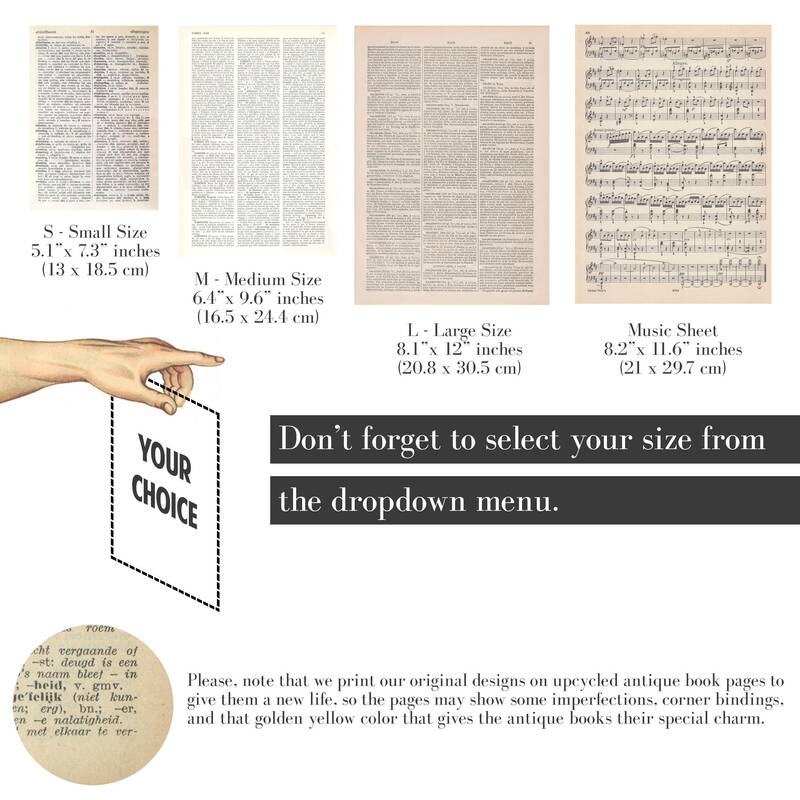 The page is about 8.1"x12"(20.8x30.5cm). Great purchase. 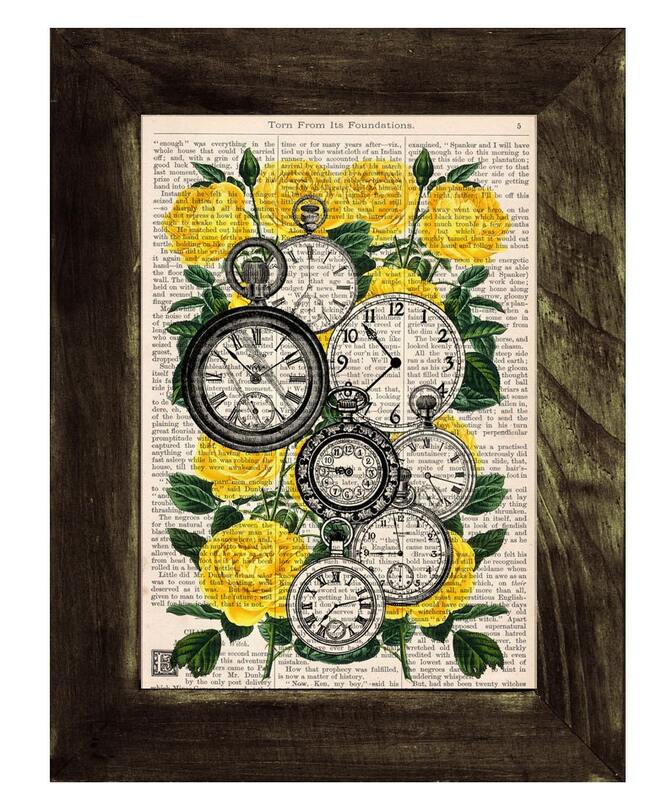 Will order from seller again. Very cool, my favorite! Thank you!